What a joy it was to work with Villa Maison for 7 years. 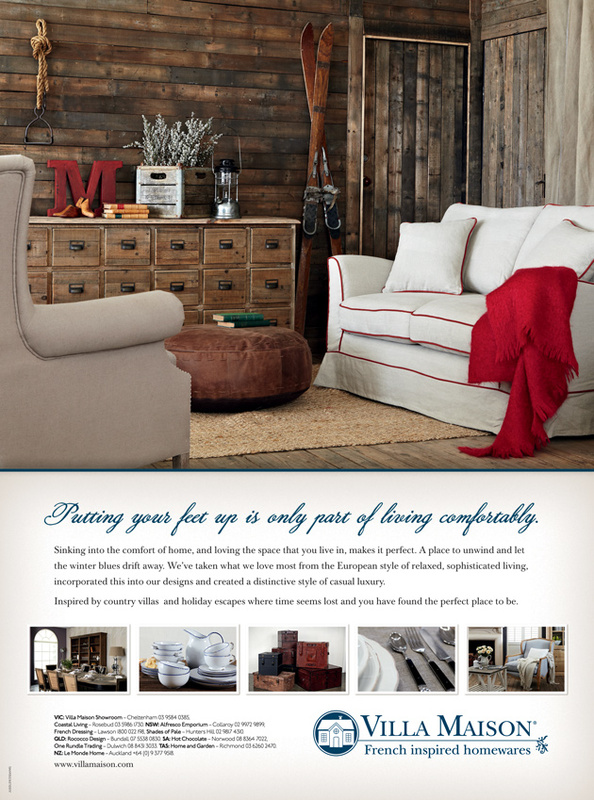 After seeing an ad in Country Style for Villa Maison, we contacted them with an honest interest in their branding objective. 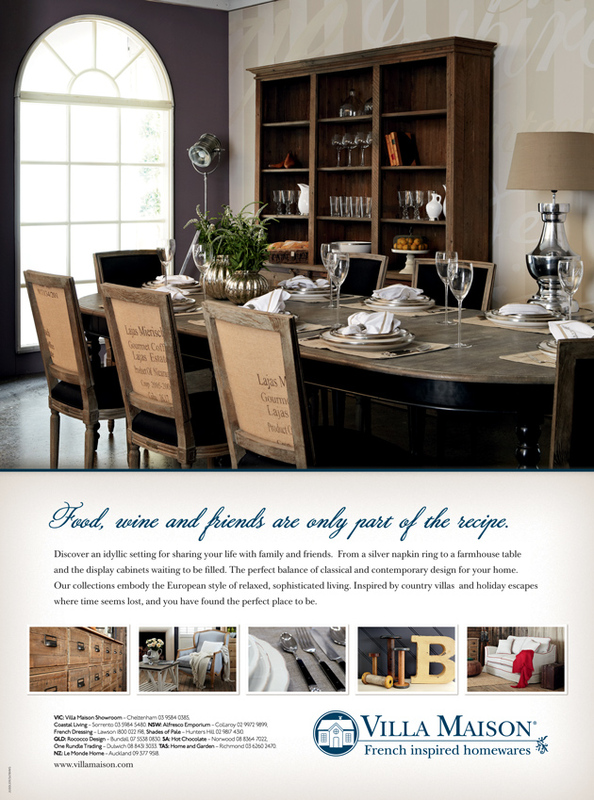 We had previous experience in the french provincial luxury furniture market and felt that Villa Maison had not positioned themselves well with their advertising. If you were going to invest in full page advertising in major national titles, then you want to ensure that you are making the most of your investment. 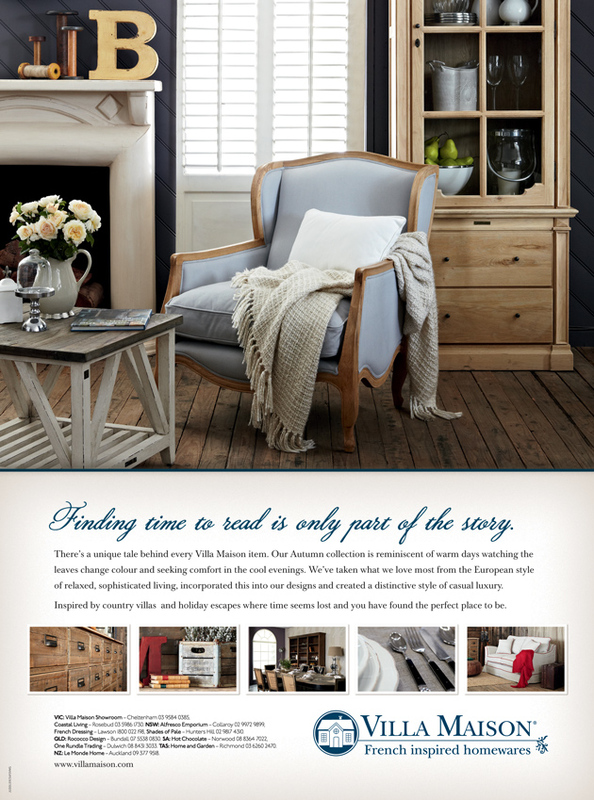 Within 18 months of signing, Villa Maison were featuring monthly in major national gloss magazines, daily newspapers and weekly local papers. The national campaigns were based on seasonal collections of which we co-ordinated photo shoots and a seasonal 12 – 16pp brochure. The brochures were conceptualised, designed, and copy written by Juggler Design. The strong brand growth saw the client grow during the GFC in 2012, followed be staff growth and relocation to larger premises. We went on to develop a long relationship with the Elly and Steve. The online environment dramatically changed the client’s retail focus and they decided to close the retail outlet of the brand in 2016 and take a years break in the South of France.